Five steps are required to produce each shoe. 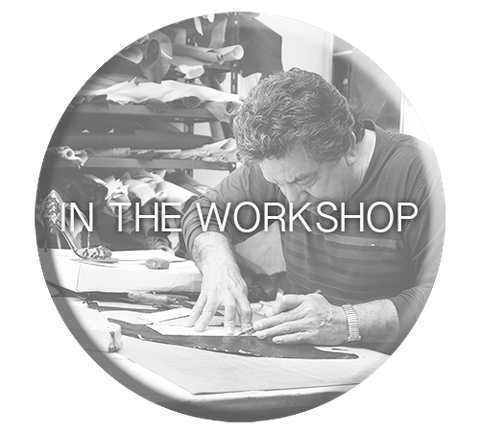 At the ANGELINA workshop the whole process is base on the Italian craftsmanship tradition. Once the design has been decided, the craftsman responsible for the cut makes the patterns out ofmetal and cardboard. 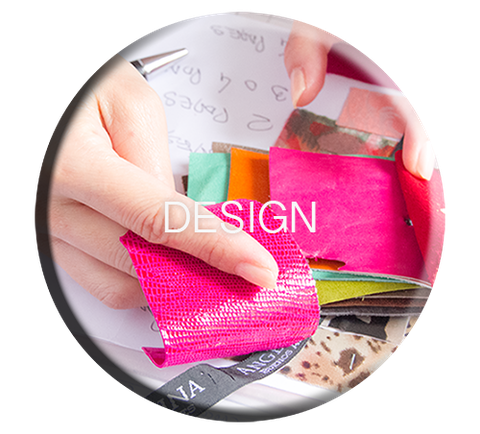 This work not only consists of tracing and cutting the leather accurately, but must also take into account the elasticity and character of each leather, considering which sectors will receive more pressure and force. 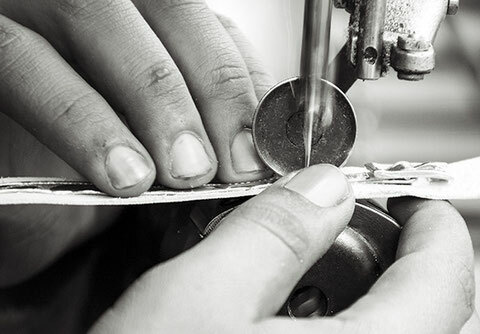 Because these characteristics are fundamental to the performance of the material, experts with over 30 years of experience making first rate shoes are in charge of the ANGELINA workshop. At this stage the seams are made in leather. It is necesary to achieve a smooth surface for the seams, because the shoe will be much more comfortable to wear and also have a more beautiful form. 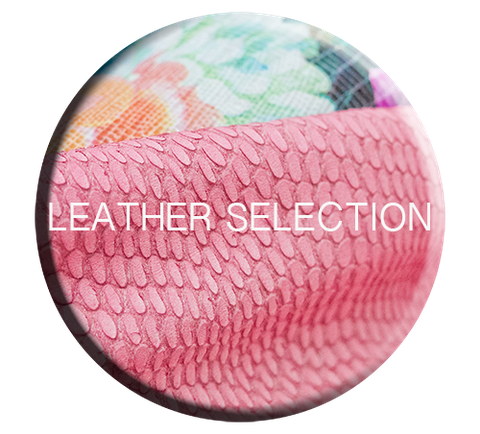 Leather is a material with strong resistance, and to sew it, you must use a special cabinet tool which serves to push out the margins and make them thinner. The procedure is named after this special tool. In order to achieve impeccable stitching, the back of the shoe must have two layers of leather, because the inner and outer parts require different features. For the inner part, it’s essential to use a material that allows the foot to breathe, allowing the natural steam to escape while keeping it dry, but at the same time strong enough to keep the form. A shoe fully clad in leather does not lose its shape and has a delicate touch to the foot. With extremely careful tailoring of seven stitches per each centimeter of seam and an elegant finish with a very distinguished line, the combination of these elements is what makes ANGELINA shine. The transformation occurs at this stage, as the leather receives its form and the shoe finally gets its shape. This process requires the highest level of handcraft professionalism to achieve the perfect curve in the line of the sole going to the heel. The mold is clad with leather pieces, and these are attached by small nails going to the midsole. Seventeen nails are required for a size 35 shoe and 19 for a size 38. We use the proper amount according to size. For the leather to take the shape of the mold, it is important to apply pressure evenly across the shoe, so it adapts naturally to the heel. Once the form is obtained a few nails are removed, and only those that don’t touch the heal are left. This additional work is what makes ANGELINA different in the end. 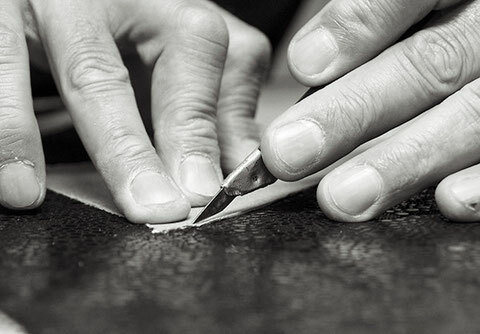 This work of precision and detail on such a small surface requires a special skill that only comes from experience. It is an art. 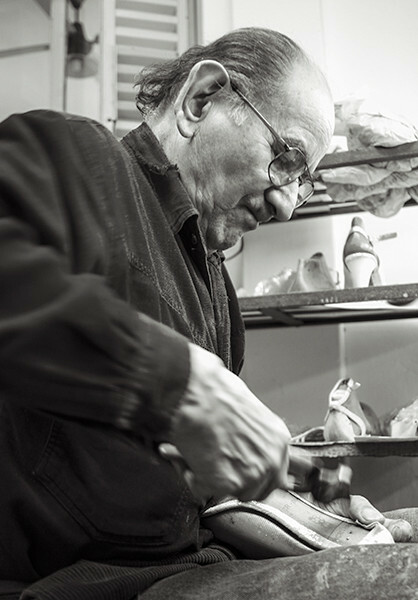 Therefore, this process is handled by a skilled shoemaker, a luthier of shoes as we like to say, with over 60 years of experience. This is the beauty of the ANGELINA tango shoe. Then the sole is cut following the contour of the body. This step is done by hand in order to detect and remove with precision all the excess material from the margins. The next step is to return to the lathe for a final polishing, a very important final touch which yields the demarcation line. After this step, the shoes can be painted. The placement of the heel using nails and a hammer is the final step. The characteristic ANGELINA heel is tall and slim, and very tough. In this way, the shoe gets its shape. We can finally see the shoe we’ve dreamed of. ANGELINA shoes have real leather soles, elaborated using the parameters of traditional manufacturing, which ensure better adhesion to the surface. All the leather is polished to obtain the same thickness in its strong leather taken from mature animals of character; these are its characteristic features. Once they are prepared, the shoe body is pasted together through a process called "cementing". Through this technique, a smooth and precise curve is obtained. An accurate profile of the shoe, a beautiful line, is the obsession of ANGELINA. In this final step, the structure of the heel is reenforced in order to give it total stability, and a small insole cushion, covering the area between the heel and the point, is put into place before pasting the template. The finish is done by fire. The entire shoe is passed over a flame to give it a perfect finish in every detail, removing remnants of the stitching thread and giving more strength to the leather; a final proofing which only authentic shoes can resist. 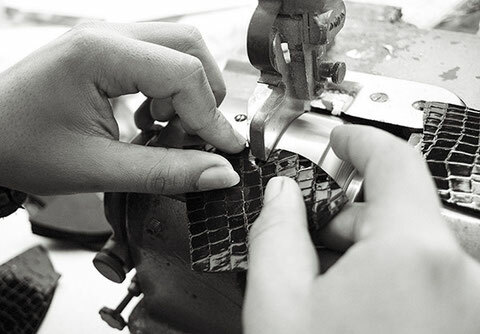 Each pair of ANGELINA shoes is created in this studio to brighten a woman's legs, wherever she might be. The quality control is the last step of this process. 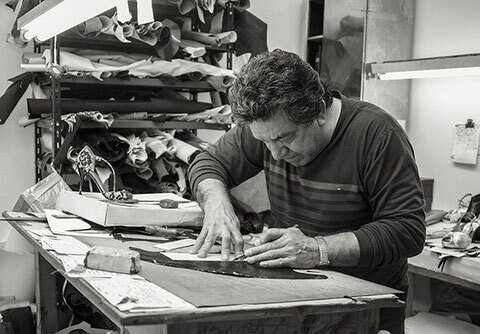 The shoes undergo a series of tests to assure the highest quality, and with the same extreme care with which they were created, they are packed in special protective material for their journey from the craftsmen’s hands in the studio in Buenos Aires, to the feet of the beautiful women of the world.